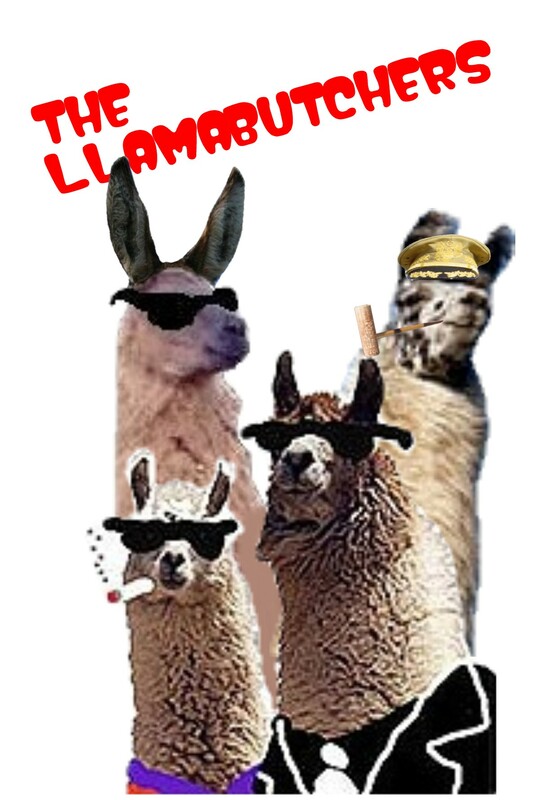 The LLama Butchers: A Rising Tide Lifts All Boats. And Vice Versa. A Rising Tide Lifts All Boats. And Vice Versa. To be sure, the poor and middle-class are being hurt more, but upper crust thriftiness could reverberate across the rest of the economy. The 10 percent of households with the highest incomes account for nearly a quarter of all spending, according to data compiled by research firm Moody's Economy.com from a 2006 federal survey. "That does suggest those folks are important for the spending outlook, and the overall economic outlook," said Scott Hoyt, Moody's director of consumer economics. Other government data show households in the top one-fifth of the U.S. population ranked by income earn about half of all total personal income before taxes -- an imbalance that gives the wealthy immense economic clout, said Sara Johnson, an economist at the research firm Global Insight. "Consumer spending makes up 70 percent of gross domestic product, and when one group accounts for a very substantial share of consumer spending, they also account for a large share of the economic activity that creates jobs," Johnson said. On Friday, the Labor Department reported that the unemployment rate had jumped to the highest in four years. The housing slump, tighter credit, high fuel prices and a lack of confidence is causing employers to cut expansion plans, or even let employees go. It doesn't help when your customer base is pinching its pennies, either. "A lot of our clients stop by a deli on the way to the airport, rather than have a catered meal on the plane" costing $50 per boxed lunch, said Justin Sullivan. Sullivan is the founder of Regent Jet, an Andover, Massachusetts-based broker that buys blocks of aircraft time to trim costs for high-end clientele whose multi-leg itineraries can sometimes exceed $100,000. Trevor Gilman, a professional pilot, says his charter service out of western Massachusetts' Berkshires Mountains has flown about half as many miles so far this year compared with the same time last year. Consequently, the service hasn't replaced a handful of employees who recently found other work or retired. "We're down to a total of two crews for three airplanes," Gilman said. Unity Marketing, a Stevens, PENN-based firm whose clients include retailers in the more than $322 billion U.S. luxury goods market, said its latest poll of affluent people nationwide found a 20 percent decline in spending on luxury goods in this year's second quarter, and the lowest luxury consumer confidence level in the nearly five years the survey has been conducted. Just over half of the 1,024 respondents earning an average income of $204,800 predicted they would spend less on luxury in the coming 12 months than they did a year ago. Many Libs continue to think of The Rich as being like Scrooge McDuck - tossing bundles of cash onto the library fire or sneaking off to the vault for midnight swims in the large piles of doubloons and piece o' eight horded there. The truth of the matter is that people with a lot of money spend that money on goods and services being provided by, well, the rest of us. The provision of such goods and services is what we call "making a living" or, if you prefer, "employment and economic growth", both of which - or so I've been led to understand - are touted as good things even on the Left. It is perfectly logical that when an economic downturn causes The Rich to feel the squeeze, they will cut back in their expenditures, and that this will have a secondary effect. Okay, then, so why do we not see more articles of this sort when the squeeze to be applied to The Rich comes not through economic downturn but through confiscatory taxes? Will that not have just as adverse an effect on all those folks trying to make a living selling goods and services to them? I suppose there are those who would argue that people losing jobs from tax policies passed in the name of "The People" is somehow different from people losing jobs from economic reasons as discussed in the CNN article. I'm happy to say that I am too stooopid to see much of a difference myself. Been on 2 minor vacations with #'s 3 and 4 planned. Had major landscaping work done (2 large trees removed). I often tell her we're the ones keeping the economy afloat. If I were richer, I'd do more.